Come face to face with the real Africa at La Rochelle Resort in St. Lucia, South Africa. The resort’s spacious, comfortable bungalows are set in the middle of exquisite natural beauty. Overlooking the World Heritage Site of Lake Lucia in northern KwaZulu-Natal, the resort offers lush, landscaped gardens, white sandy beaches, and up close and personal encounters with an abundance of wildlife. To get the most from your African experience, buy a South Africa timeshare resale now! La Rochelle Resort’s roomy timeshare bungalows have plenty of space for families or groups of up to six people. 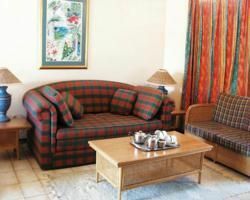 Three bedroom, two bath units are fully furnished and equipped with everything needed for your holiday. Though there are many excellent restaurants in town, a fully equipped kitchen and a barbecue on the patio are alternatives to dining out. Amenities include ceiling fans, television with cable/satellite, and daily maid service. For added convenience, child-care and laundry facilities are onsite. Whether your favorite activity is lounging by the pool and relaxing in a spa, or getting the perfect picture of a wild animal in their habitat, La Rochelle offers it all. Onsite find two lovely swimming pools, miniature golf, an arcade game room and a children’s area. For those into something wilder, tour the Natal Parks estuary, a wildlife paradise where eagles, sea crocodiles, and hippos can be seen at the water’s edge, or try your hand at some of the best deep sea fishing in the country. 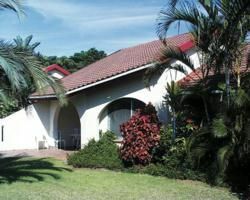 You’ll find what you want when you buy a South Africa timeshare resale at La Rochelle. Contact La Rochelle Specialist Today!